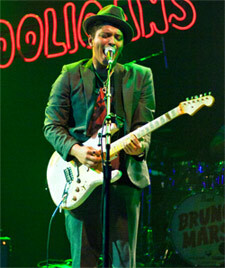 Bruno Mars is tearing up the airways and selling out venues all over North America on the 24K Magic Tour. Don’t miss your chance to see this amazing performer this summer – Bruno Mars Tickets are now on sale. Call 855-305-4862 or order your tickets online today! The following events and venues match your search for “Bruno Mars”. To sort the list, click on the column header. To find tickets for the given event, date & time, click the tickets link in that row. To find events taking place at a matching venue, click that venue name.